One Chestnut, blaze, showie, well bred, Cat B $1000 SOLD. One tiny Chestnut Cat A, over 50% American Shetland, has blaze. $1000, plus gelding. One Bay pinto, very flashie, over 50% American Shetland, movement to burn $1500 plus gelding, $3000 colt. 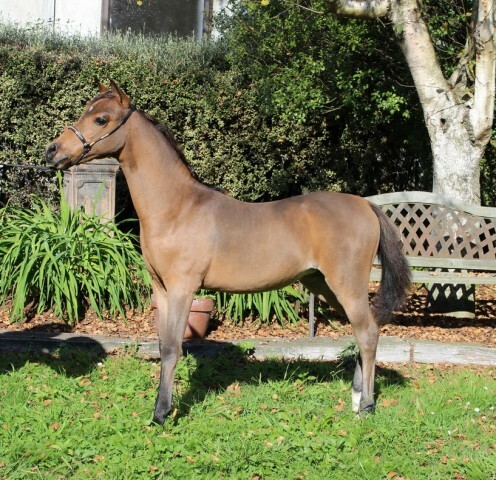 National Champion Reserve weanling filly. 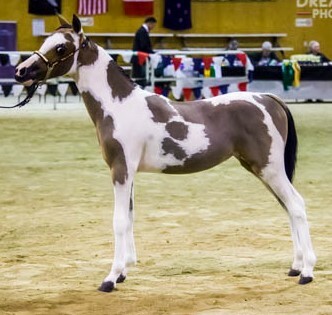 This filly comes from a long line of Supreme winning horses, she gets her wild color from her great, great, great grandsire the "immortal Rowdy" every generation has National Champions. 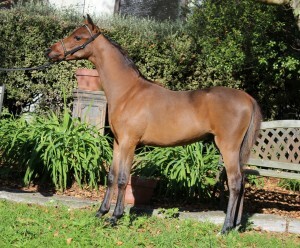 This filly is only for sale to a show home, she is not cheap but quality rarely is. Another top show filly, will grow to around 36 inches. Dam has produced many supreme champions including a National Supreme Champion. Another one of our winning families. 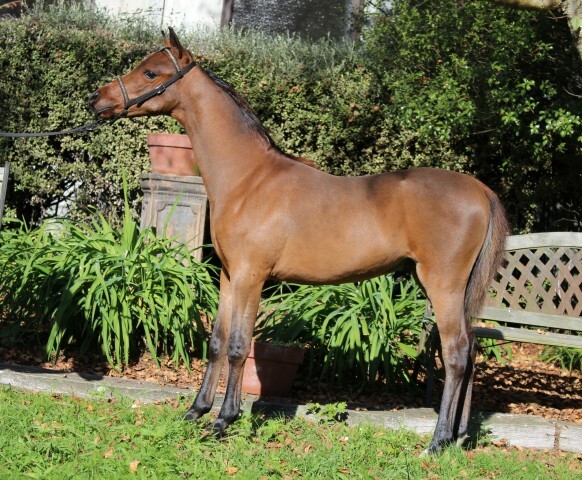 2016 National Champion Weanling Filly. 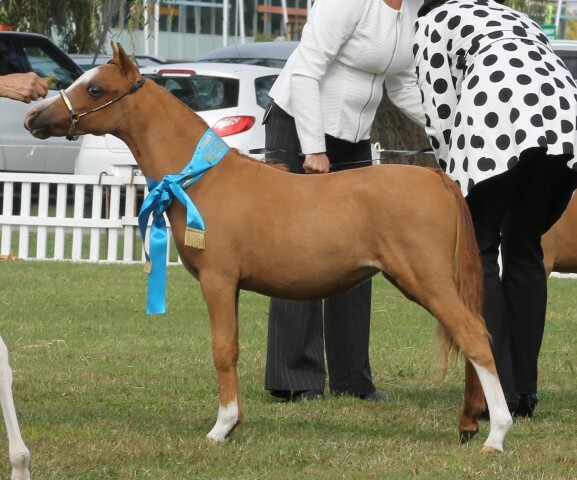 3rd, National Champion weanling filly. This boy is an ERP in miniature, he is fine, elegant, classy and racy, just as his name implies. His dam is a Supreme winner and has left some stunning babies. 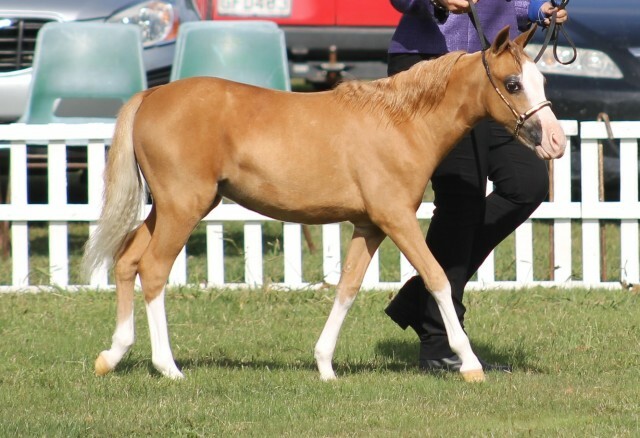 This boy would suit the Lead rein classes with his ultra refined bone and stunning looks. 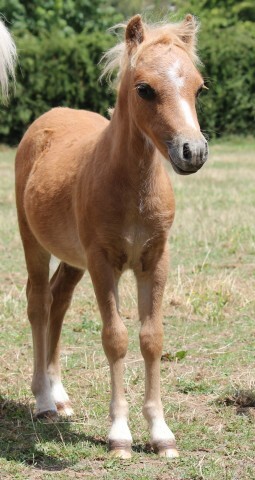 We think he will grow between 10 and 11 HH just the perfect size for a small child. He will also suit those looking for something a bit bigger than a mini to show, that is if you can keep up with his amazing high stepping stride. You have to see him step out to see just how pretty he is. Champion American Derivative/pure breed (equivalent to Supreme) at only show. This filly is out of a pure breed registered Sec A Welsh Mare by Leonardo, she has movement to die for, her type is outstanding, she will be a hard act to follow this season in the show ring. She can be shown at any different shows on offer this year as she is under miniature HFA. She has been professional trained by one of NZs top Arabian trainers. I have 2 small black "blingie" fillies out of small welsh mares by Leonardo. These filly's are a stunning pair, extremely flashy, hot and gorgeous. Priced as a pair.